We at Cleaning Commercial always love to say that a big part of our success as a leading office and commercial cleaning company in Enfield is built on our dedication and commitment to our clients. Once again we want to show how much we care about you, our lovely and loyal clients and the visitors to our website and this is why we have created this blog page. Here you can find interesting information on a variety of cleaning topics and all current news about what is happening in our branch and on the international market. Be sure to keep an eye on the frequent updates of our blog page and read all the new articles our experts share with you, so you can learn more about innovations, advanced cleaning methods and systems, new products and tools and so much more. Our blog page is the place to find out about interesting and helpful cleaning tips and tricks. Our professionals are sharing their advice and recommendations here, on the blog, so keep your eyes peeled for new articles every week! 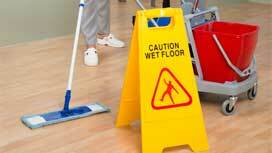 Leave the office cleaning to the professionals, but not entirely, because there is a bit of a job for you too. Here is a very efficient and super cheap DIY dusting spray receipt for you! 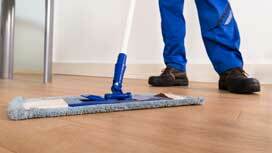 Wooden floors are really easy to maintain. In fact, they won’t require more than one simple, but very effective DIY wood flooring cleaner and we are about to share with you the best one we have used! Hiring a cleaning service is a difficult choice sometimes. So, there is no need and place for hesitations and not being sure. 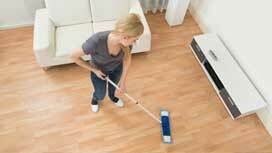 If you want to expand your peace of mind, then hire a professional, licensed and insured cleaning business. While hardwood floors are a common choice for business and commercial facilities because of their elegance, professional look and the way they leave a good impression, hardwood is a material that requires a bit more attention and specific maintenance. Schools are a hot spot for germs and bacteria and the danger increases in the flu season. Here is how to ensure and maintain a germ-free class room following a few simple tips. No matter what area and field you are working in, the chances you have a workplace, no matter if at home, or an official office, are pretty big. And having a workplace means that you have to take certain care of it. If you are not from the group of people saying that cleaning wood floors with vinegar is not safe, then have a look at the three methods we are sharing with you today. Cleaning Enfield is not easy, but it is our passion. We are cleaning business and commercial facilities for the past few years and we are already a leading company in the branch. Our secret is our commitment to the clients.